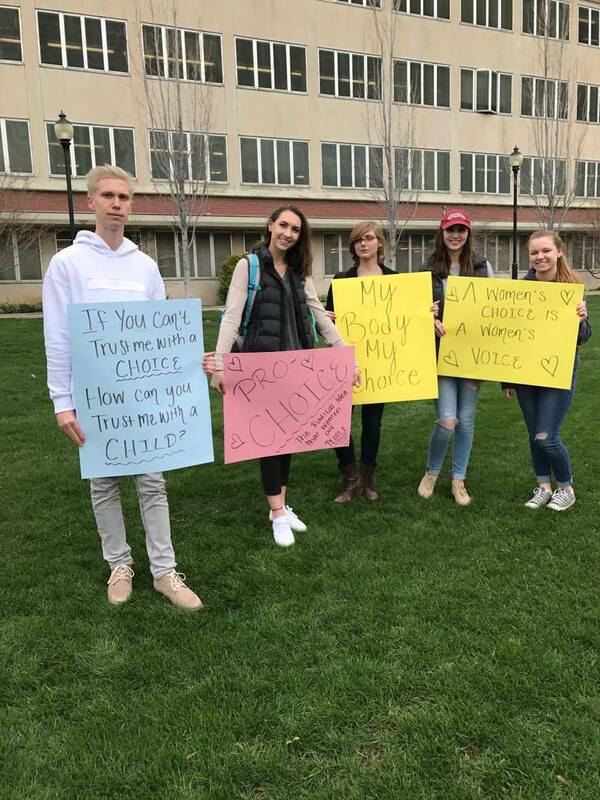 Yesterday Keaton Aspell became the second guy in a week to take a stand against anti-abortion events on campus. 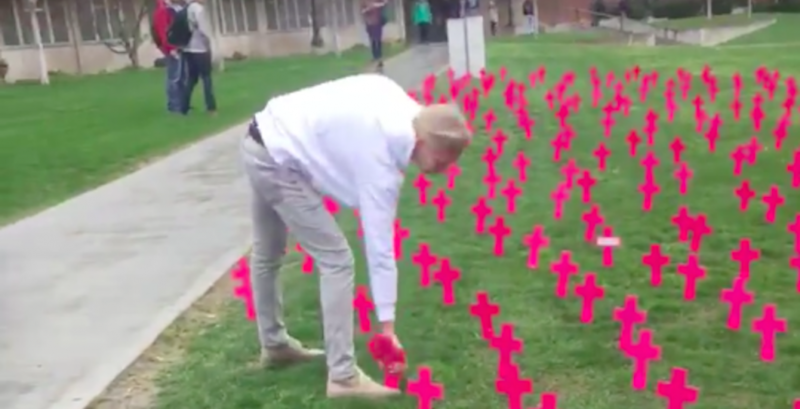 The guy taking the crosses down(Keaton Aspell): "I'm taking them down because, could you imagine if a girl that decided to get an abortion saw this? And how much shame she would feel?" I completely agree. These displays aren't for education or awareness, they are shaming women for choosing what they want to do with their bodies and that's not right. I got out of class and I saw the display and there was nobody standing around by it. So I pulled all the crosses out of the ground and threw away the signs. I got a text an hour later from a friend saying they had put it back up but there was nobody standing by it. So I came back and did the same thing until someone came out and called the police on me. I ended up talking to the police and I agreed that what I did was wrong because of course, they do have the right to free speech. I apologized to them and them went to three different offices on campus to try and find out how they got approved because I still thought it was inappropriate. And I also organized a peaceful protest afterwards with signs and a group of people and stayed nearby until they left. From a lot of girls, I’ve gotten personal messages and I’ve heard a lot of their stories and how they were afraid to stand up, how thankful they are for a guy to stand up for them. I guess it’s really rare – I didn’t realize how rare it was. From the other side, the head of the College Republicans made a YouTube video trashing me and his supporters have been messaging me, making threatening comments. But I’ve tried to ignore it – threats are only threats from the internet, right? What kind of things are they saying? Someone said they found out where I lived and would come and “have a conversation” with me. Other people are just calling me names and derogatory terms. I’m originally Canadian, so they’re telling me to move back to Canada. I just do my best to not let it bother me. In a heartbeat. Since I did it, I’ve gotten messages from girls who feel victimized by this. It makes me feel like I was doing the right thing. I was raised by a very feminist mother who taught me to respect women and that women were equal and have their own rights. I saw social injustice and saw people being attacked and I didn’t like it. Would you recommend other guys to do this? I pray that other guys do the same thing. A lot of girls might afraid to step up, it might be understandable because the backlash I’ve gotten from guys – I couldn’t imagine being a girl and getting threats from guys telling me they’re going to come to my house and “talk” to me.